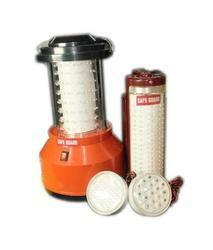 Our product range includes a wide range of solar dc emergency lights and emergency lights. comes with a Solar panel 10 watts, 7 ah SMF battery, mains/Solar charging unit, 3 nos. led bulbs, backup of 5 hours, 6 months warranty. call for price. Our company is one of the few names that are engaged in the manufacturing and supplying premium quality Emergency Lights. These lights cater to the varied demands of the customers. It is made under the surveillance of experts and trained professionals. The entire range of these products offered by us is available at highly competitive prices.